On the last day of my two-week biodynamic journey in India, I ventured with several dozen others from around the world into the mountains of Northern India to SARG Vikas Samiti. The center is only accessible by hiking one kilometer from the road, up and over a ridge. This was a family farm and orchard that Binita Shah inherited from her father and has transformed into a vibrant biodynamic center over the past couple of decades. Here, she and her team make, store, and distribute biodynamic preparations to tens of thousands of farmers every year. They also hold intensive trainings in biodynamic farming. Fruit trees, vegetables, biodynamic preparation herbs, cows, goats, compost piles, water catchments, flow forms, and preparation burial pits each occupied different terraces on the steeply sloping land. In the preparation making area, they can bury up to 30,000 horns each year to make biodynamic horn manure, and also make all of the other biodynamic preparations in large quantities. During our visit, we were invited to fill some horns together—Indian-style, using our bare hands. Although many were reticent to try it, I was quick to volunteer to help, and found it to be quite an enjoyable experience. The preparation storage area, “Proctor Hall,” houses dozens of clay crocks filled with finished preparations, surrounded by deep leaf litter that Binita harvested from the local forest. Preparations are distributed from the center throughout India. 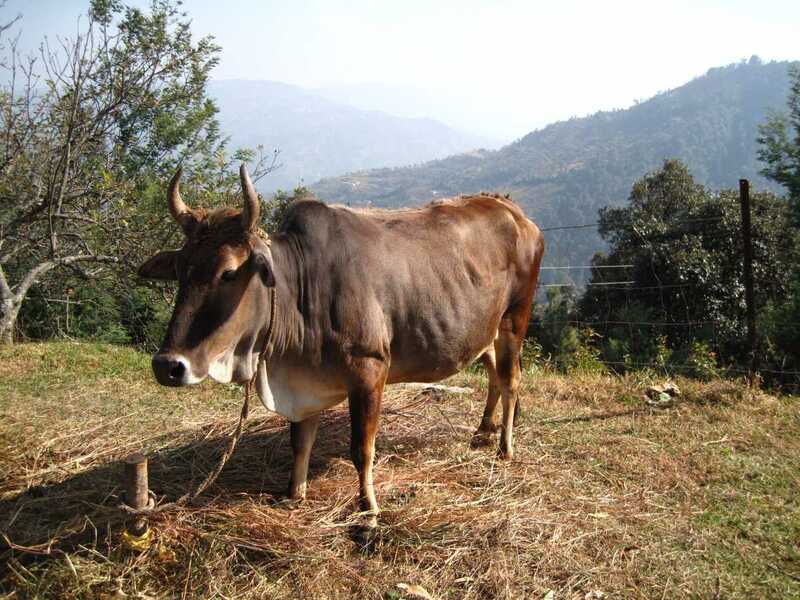 Learn more about Thea's travels in India in the Spring 2018 issue of the Biodynamics journal. Thea Maria Carlson is the Executive Director of the Biodynamic Association.